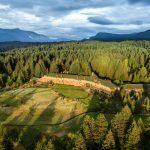 This hike features gorgeous views, rocky crags, streams and two waterfalls, and is one of the newest hiking trails in Skamania County. 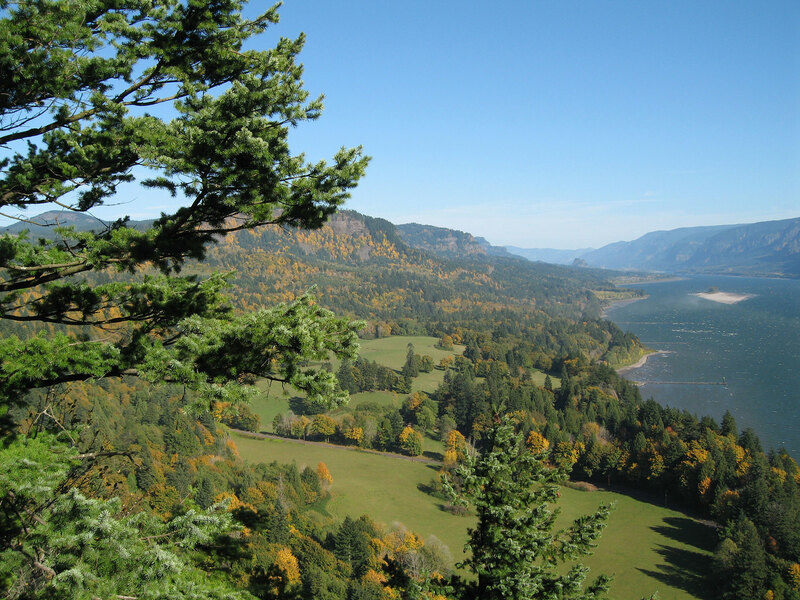 The full trail loop provides fantastic views of the Columbia River Gorge, an intimate look at Cape Horn Falls and a challenging workout as it climbs and descends the rocky slopes of Cape Horn. From the parking lot, walk directly across Salmon Falls Road onto the trail and into the forest. A large sign marks the entrance. Most of the climbing for the entire 7 miles is accomplished in the first mile. At the top of the hill you’ll pop out onto Tipping Tree Point, which overlooks miles of the Columbia River, Angels Rest, Beacon Rock, Larch Mountain, Multnomah Falls and Dog Mountain. From the summit descend gently to an old logging road. While hiking, if you come upon unmarked branching trails or old roads, just keep to the left and you won’t get lost. 1.8 miles from the trailhead you’ll emerge from the forest onto a paved road. Cross the road, head toward your left, then turn right onto an old gravel road and continue about 2,000 feet to a bluff overlooking the Columbia and the new Nancy Russell Overlook. Near the bluff’s edge turn right into the forest. This begins your descent down to the cliffs above the Columbia River. In ¾ of a mile cross under State Route 14 using one of the new pedestrian underpasses. After crossing the highway, follow the trail toward the bluffs. When you come to a 4-way intersection, go straight, paralleling the edge of the bluffs. 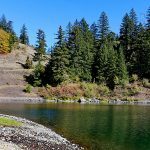 The trail will take you down onto the bluffs overlooking the Columbia, up some talus slopes, and through the woods to Cape Horn Road. The final section of the trail is a 1.3 mile walk along the pastoral country road, back to Hwy 14. Another underpass will take you back under the highway. This hike is not for the novice. Bring a positive attitude, lots of water and do not forget your camera. The full trail loop is 7 miles with 1,200 feet of elevation gain. It is important to note that the lower trail is CLOSED from February 1st to July 15th to protect peregrine falcon nesting areas. Parts of the trail are narrow which can be unsafe during heavy snow and icy conditions. No pass required.